People not in the teaching profession don’t understand that it is easier to go to work sick, than to write substitute lesson plans. This I know for sure! 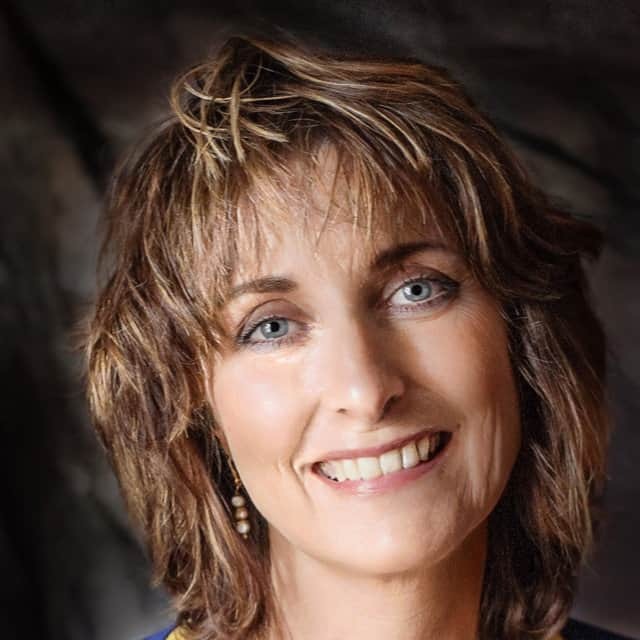 With 4 children and a full-time job, it felt like someone was always under the weather, had a doctor or dentist appointment or fed something to the dogs that meant a trip to the vet. In order to make my life easier, I created a document at the beginning of each year that gave my substitute teacher all the key information he/she needed to know. This document included information like: bell schedule, recess duty, bus lists, lunch lists, how pencils are sharpened, and so much more. I usually left something out – and it was often what the guest teacher really needed to know. After more than 30 years of teaching, (yes, I was teaching before standards existed) today’s technology makes it SO much easier to get all the necessary logistical information your substitute needs. 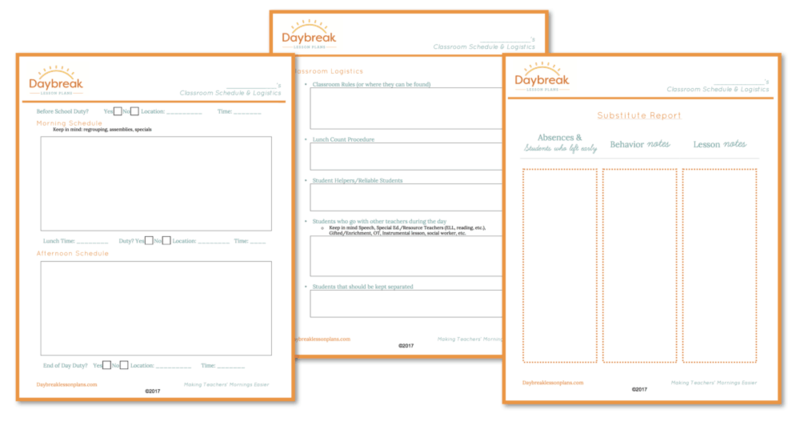 At Daybreak Lesson Plans Inc. we have spent the time to create the best and most complete classroom schedule and logistics planner for free. Click here to download!